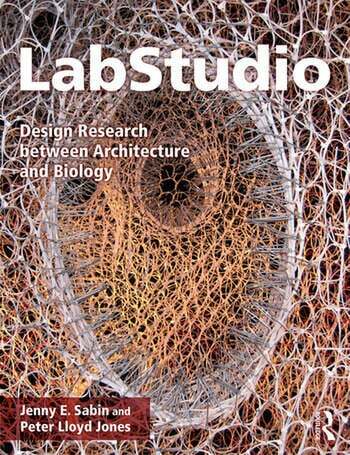 LabStudio: Design Research between Architecture and Biology introduces the concept of the research design laboratory in which funded research and trans-disciplinary participants achieve radical advances in science, design, and applied architectural practice. The book demonstrates to natural scientists and architects alike new approaches to more traditional design studio and hypothesis-led research that are complementary, iterative, experimental, and reciprocal. These originate from 3-D spatial biology and generative design in architecture, creating philosophies and practices that are high-risk, non-linear, and design-driven for often surprising results. Authors Jenny E. Sabin, an architectural designer, and Peter Lloyd Jones, a spatial biologist, present case studies, prototypes, and exercises from their practice, LabStudio, illustrating in hundreds of color images a new model for seemingly unrelated, open-ended, data-, systems- and technology-driven methods that you can adopt for incredible results. Jenny E. Sabin is an architectural designer whose work is at the forefront of a new direction for twenty-first-century architectural practice — one that investigates the intersections of architecture and science, and applies insights and theories from biology, emerging technologies, materials science, and mathematics to the design of material structures and spatial interventions. Peter Lloyd Jones is a biologist, whose discoveries have uncovered fundamental mechanisms in embryogenesis and human disease, including breast cancer and pulmonary hypertension. Jones’s work actively seeks and finds new solutions to complex problems via extreme collaborations within seemingly unrelated fields, including industrial, textile, and architectural design.